I heard from the grape vine that some people didn’t know about the QR Code game at EclipseCon! 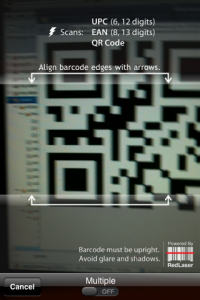 All you need to play is to download a QR code reader for your mobile phone and start scanning! I highly recommend Red Laser if you don’t have an application already to scan codes. Other than that, please read the rules of the game and start the hunt for codes!